The Store of Used Computers and Laptops in Mesa! At our shop in Mesa, AZ, we sell all kinds of used computers, and they are equipped with the most popular operating systems from both Windows and Macintosh. We are the top-rated seller in the area for all kinds of desktops, laptops, notebooks, handhelds and more, so you won’t find a better value anywhere in the entire region. If you’ve been in the habit of upgrading your computer every few years to keep up with the advancing technology, why not drop by our shop and sell us your old one to earn some cash? We are very easy to reach for everyone in the surrounding area, including such locales as Tempe, Mesa, Apache Junction, Chandler, and Scottsdale. It’s a much better idea for you to recycle your used computers of all types, rather than just tossing them into the garbage heap and having them carted away to the nearest landfill. With everyone doing their part to go green and conserve our natural resources, you should contribute in your own small way by recycling all your old computers – and we’ll provide you with the incentive to do it, by paying you the best price on the market for it! Of course, we have no preference for the brand names of any computers we buy, so by all means bring us your machines from HP, Toshiba, Lenovo, Acer, Sony, Compaq and any other manufacturer which has produced a reliable, high-performance computer. We have purchased hundreds and even thousands of computers over the past several years, and that has created a huge inventory for us that will offer some tremendous choices to anyone who is seriously shopping for a really good computer, at the lowest price to be found anywhere around. We also work with our customers to provide them with upgrades to the machines they have, offering store credits on other purchases from our inventory. If you’re in need of any the accessories needed to adequately operate a computer system, we’ll have those for you as well, and at the same low prices. Whether you need speakers, keyboards, monitors, or just a plain old mouse, you’ll be sure to find it amid our huge inventory of computer accessories. If you’re looking to sell items of value besides computers to generate some fast cash for yourself, bring them along with you, so we can appraise them and give you the highest possible amount at a fair value for all of your sale objects. 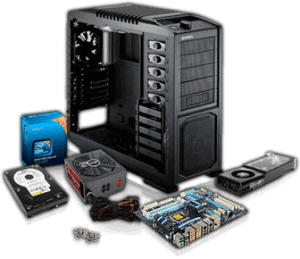 We are the top buyer of valuable objects in the Mesa, AZ area, and we are also the top seller of objects as well, so whether you’re buying or selling your old computers and computer accessories, stop here first to ensure that you get the best value on your equipment.